Just like in war and football, investing is about offense and defense. It is hard to find success with just one tactic. Cyclical and non-cyclical stocks should be part of your arsenal. Another tool you have is mixing cyclical and non-cyclical stocks in your portfolio to counteract a changing business cycle. 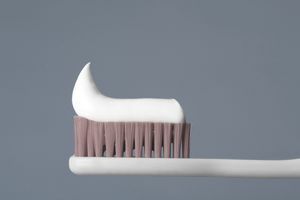 When the market senses toothpaste times coming in the economy, it will move toward non-cyclical or defensive stocks and away from cyclical issues. The stock prices of cyclical and non-cyclical stocks relate to how the business cycle changes. Cyclical stocks move more dramatically, both up and down, with the cycle, while non-cyclical stocks show little movement relative to the cycle. The idea behind cyclical and non-cyclical stocks is simple. When money is tight, what can you do without or put off? You may want a new car, but if your budget is very tight, it may have to wait. However, toothpaste, toilet paper, and electricity can't wait. Cyclical stocks represent those items and services for consumers and businesses that they buy when confidence in the economy is high. Non-cyclical stocks represent those items and services for consumers and businesses that they can't put off no matter what the state of the economy. Standard & Poors classify stocks into ten sectors. Two of the sectors, Consumer Staples and Utilities, are non-cyclical stocks, and the rest are cyclical. Not everyone follows S&P sector breakouts so don't be surprised if you visit a site like MorningStar, for example, and find a completely different set of sector identifiers. Non-Cyclical Stocks or defensive stocks do well in economic downturns since demand for their products and services continues regardless of the economy. The classic example of non-cyclical stocks is utilities. Everyone from consumers to businesses needs water, gas, and electricity. When the economy is growing, these stocks tend to lag behind, however during economic downturns; their steady returns may look good. Another classic example of non-cyclical stocks is household non-durable goods, such as toothpaste, toilet paper, cleaning materials. Cyclical stocks follow an upward turn in the business cycle when businesses and consumers are spending money. Automobile companies are classic cyclical stocks. When the economy is good, and people are working, car sales do well. However, if there are layoffs and uncertainty or high-interest rates, people may decide to hold on to their car another year. Businesses expand during good times. They buy new equipment and build new facilities, so equipment sales and construction are cyclical stocks. When the economy cools, businesses run down inventory, put off expansions, and delay purchases. Cyclical stocks such as steel manufacturing and sales suffer when business slows down. It pays to keep an eye on the business cycle and know where it is and where it is going. For investors wanting a more conservative posture, non-cyclical stocks, many of which also pay nice dividends, should make up part of your portfolio. You should understand that this relative safety comes with a price like everything else in the market and that is missing growth opportunities in an upmarket.